High school football stadiums in Texas continue to amaze me. 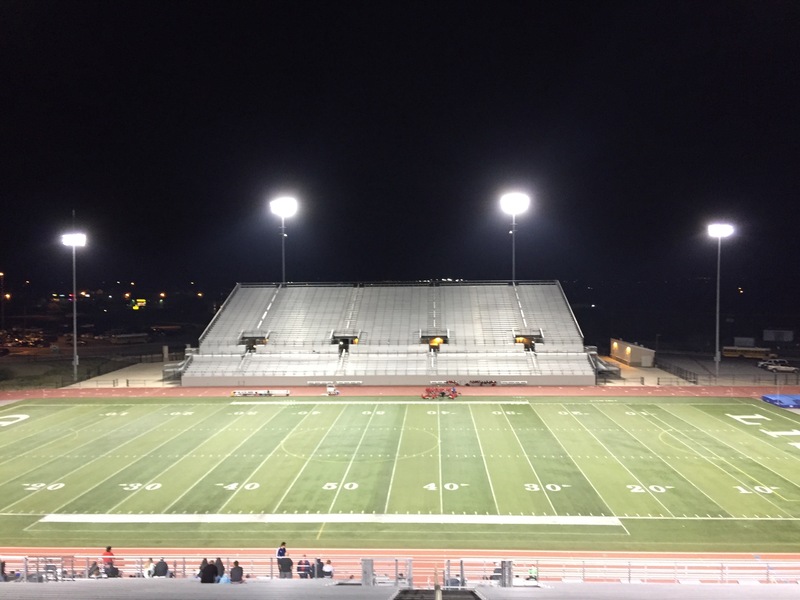 Tonight, daughter played soccer at Leander High School’s Bible Memorial Stadium. According to texasbob.com, the stadium’s capacity is 12,000! And I imagine it’s standing room only for football games. Soccer not so much. There probably were 75-100 people there tonight, which is a pretty good turnout. We’ll take it anyway! More importantly, daughter’s team got its first district win, which hopefully is the start of a long winning stretch.